Trade shows are a brilliant chance for businesses to strut their stuff in an environment populated by industry movers and shakers. Whether it is a one day or three day event, the presence of potential customers and precious new contacts means that exhibitors must use their time wisely in order to enjoy a healthy return on investment – and that means planning ahead, especially when it comes to printing. When exhibiting at a trade show, you will be competing for the attention of delegates with numerous other organisations. So, aside from an engaging stand, your physical marketing armoury, in the form of printed collateral, will be crucial to making a splash at an event, and, ultimately, achieving conversions. Pop up banners can make the process of finding your stand easier for delegates in a packed exhibition hall. They also allow you to brand your exhibition space, leaving passers by in no doubt as to who you are. It’s amazing how messy an exhibition stand can become very quickly, especially when there are stacks of brochures contributing to the clutter. Present your marketing collateral in an attractive fashion and keep them out of the way with pop up display stands. 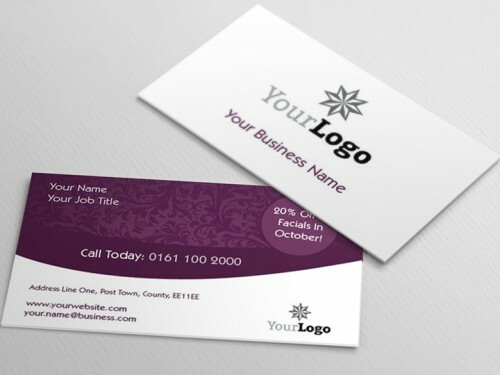 Business cards are virtually a trade show currency in themselves, allowing you to swap contact details with new contacts, and also enter the various competitions around the event space which require a business card to be deposited in a hat or bowl. If a brochure is too weighty and a business card too small, flyers could tick your box in terms of trade show marketing collateral. Advertise your product or service in an engaging fashion, and in an easily pocketable format. Have you ever come back from a trade show weighed down with stacks of brochures? How many go straight into the bin? Printing your own folders to keep all your marketing collateral self-contained for delegates can go a long way saving your hand outs from the dreaded dump. So, there are some printing essentials which can help you get the most from trade shows – remember, just one business card can lead to a fruitful new business relationship, so don’t be shy! Get in touch with us today for high quality printing of your business materials.